A leaked image of the Xperia Z4 Ultra tablet suggests it will be the most powerful tablet ever launched. 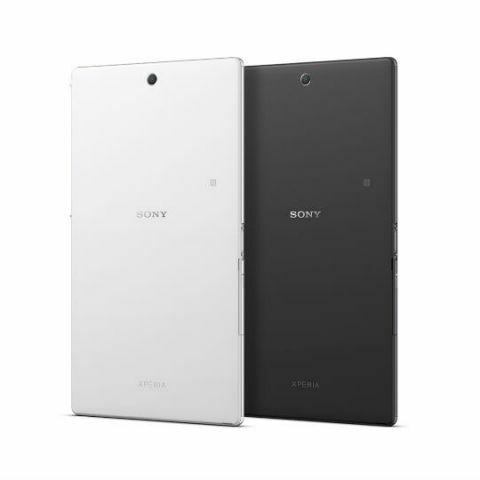 Leaked specs of what is claimed to be the Xperia Z4 Ultra suggest that the upcoming Sony tablet will be the most powerful mobile device ever launched. The leaked specs are so unbelievable that we literally cannot believe them, especially since we don’t know where PadNews, the blog that leaked the specs, got the source image from. 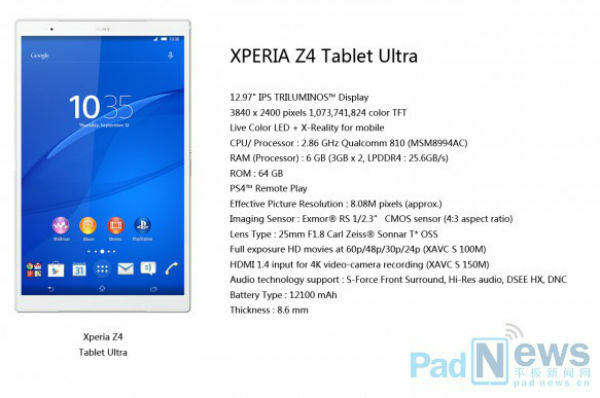 As you can see, those specs make the Xperia Z4 Ultra tablet the single most powerful tablet to ever be launched. Now, while Sony has a reputation of packing its devices with quality, powerful hardware, the above specs do seem out of this world. On the other hand, if Sony can actually deliver an Android tablet with a 13-in 4K IPS display, a 64-bit octa-core processor, 6(! )GB of RAM and a 12,100(!!) mAh battery, then it's all set to rule 2015, that’s for sure. Best graphics card of NVIDIA 6GB?